Working from home seems like the ideal situation. There’s only one problem — you’re not quite sure where to begin. Not every job can transfer from a traditional workplace to a home-based office, after all. 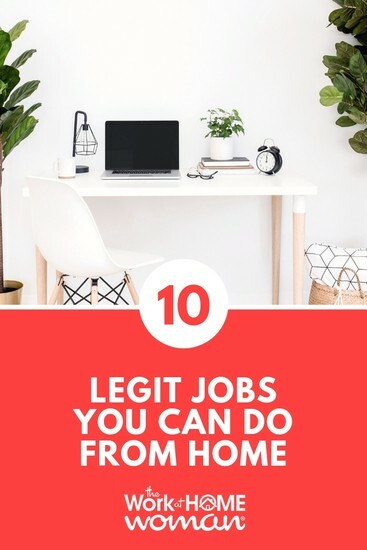 However, some professions allow you to work from the comfort of your own home without sacrificing any of the income to which you’re accustomed. Writing is perhaps the most natural profession to take home with you. 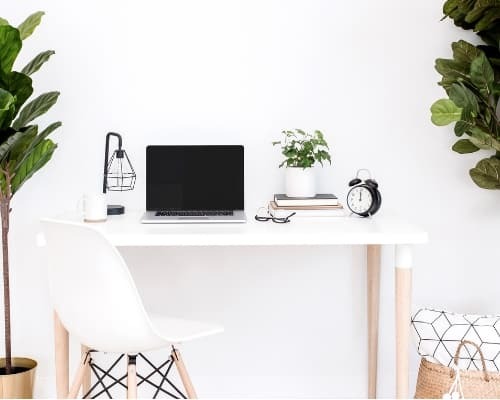 In fact, many writers find the workplace environment creatively stifling, so the mobility of remote working gives them the chance to do their job amid a more stimulating backdrop. You’ll find there are plenty of opportunities to establish a career in this field. You can start a blog and wait for ad revenue to roll in, although this means you won’t be bringing cash home right away. You can also pitch to websites, magazines, and other blogs, where you’ll receive compensation once your idea is approved, written, and posted. Some companies need help with copywriting for marketing materials and other consumer-related text. Start by searching local job boards; some writing gigs and permanent positions are available via Craigslist. A national search for freelance opportunities would work, too, since you’d be able to contribute virtually, regardless of where a company is headquartered. Another work-from-home-friendly industry is customer service. Many companies provide out-of-office employees with the technology and training they need to answer consumer questions. If you have experience in customer service, you have a great shot at getting this type of work. You can also play up the skills you have that will serve you well in the position. Excellent phone etiquette, listening skills, and patience are all attributes to play up on your resume and in your cover letter since they’re vital to your success in this career path. How do you feel about numbers? If you know you can handle the responsibility of calculating a company’s expenditures with extreme precision, then a career in this field could be on the books. Fortunately, you don’t need to be a certified accountant to obtain work as a bookkeeper. Instead, you need to prove your math skills are there, and that you know how to use computing technology well. Plus, you should have a passion for helping people, since your work will be for the betterment of a business and all its employees. For remote bookkeeping positions, check out companies like Belay and Fix My Cash Flow. As the name implies, a transcriptionist writes down what people are saying. The task of remote transcription is slightly different, though. Rather than attending a meeting or hearing and keeping notes, you’ll be turning audio or visual recordings into written documents. To get this type of work, you have to be a fast and accurate typist, as you will most likely be transcribing in a word processor and sending the file to your boss when you’ve finished. To that end, you’ll need a working computer and nice headphones. Some transcribers also have a foot pedal so they can stop and start their recordings without moving their hands from the keys. Because this work requires you to focus, you’ll have to work in a quiet environment with few interruptions. As such, this might not be the best job for a stay-at-home parent who’s minding kids while working. Of course, you could squeeze the transcriptions around your child’s schedule, which makes this a great option once the kids start school. See Rev and Tigerfish for remote transcription positions. If you have any administrative or clerical experience, you’re in luck! You no longer have to go into an office to serve as someone’s assistant. Instead, you can take tasks virtually through many reputable sites, including Fancy Hands and Zirtual. It turns out you can do many assistant-type tasks while in your pajamas. Think about it: You can piece together expense reports, call in catering orders, plan travel, organize calendars and more, all from your home computer. When applying, be sure to mention any experience you have with these types of tasks, whether you’ve done them for the good of your own family or a past job. You’ll need to have a computer, phone, and a good internet connection to make this job work for you and your new boss. If you’re not in a place where you can consider returning to school, then the computer coding path might not be for you. However, if you’re willing and able to study programming, you have a great chance of finding yourself in a lucrative — and remote-working — career. There is another caveat, aside from the fact that you’ll need training. Not everyone will have a knack for this job. Coding is a time-consuming skill to learn, and there are multiple programming languages in which you’ll want to be well-versed. Before you start, make sure you have the base-level abilities that successful coders possess. For instance, if you love new technology, enjoy problem-solving and thrive while creating, then this could be the perfect path for you. For remote computer coding positions, see Corgibytes, GitHub, and CyberCoders. You can put your creative skills to good use by opening an online shop. Whether you’re an artist, jewelry-maker, or clothing designer, you can turn a hobby into a lucrative career. Start by finding the right platform — many creators use Etsy — and setting up a storefront. Of course, you don’t have to be artistic to be a successful online salesperson. You might log onto the internet to sell unused electronics, designer clothes, and more via eBay and other virtual secondhand sales. You might come up with an entirely new business model that allows you to sell and distribute from home. Regardless, an online store is an excellent alternative to in-person sales — convenient for both you and your customers. On the opposite end of the spectrum from starting your own business, you’ll find data entry. It’s a viable work-from-home position, but it’s far less involved than creating and running an enterprise. To start, all you’ll need to begin is a computer and internet access. Different assignments might require you to download additional software, but many companies use Microsoft Excel spreadsheets for their data entry needs. Other than that, you’ll have to be fast-moving and detail-oriented, but this task is a great one for work-from-home moms. Even with a little bit of noise, it’s easy to enter the given information into a spreadsheet. Check out companies like Xerox and Westat for remote data entry and collection positions. Do you live alone or otherwise have space to share? You can make a nice bundle of cash each month by renting out spare spaces to long-term renters or tourists in town for the weekend. Sites like Airbnb have made the latter scenario a lucrative side-business for homeowners around the world. You might also reach out to potential roommates through sites like Craigslist, where you can advertise your room, too. Somewhere, you’re bound to find someone who’s a good fit. Get creative about the extra room you have available, especially if you live in a city where space is a hot commodity. You can rent out everything from parking spots you don’t need to storage lockers you don’t use. Any experience in human resources or the art of recruiting will bring you success in this well-paying role. You could earn as much as $40 an hour screening candidates and helping place them in the right position within a particular field or company. You can work for yourself, but you shouldn’t branch into self-employment unless you’ve proven your recruiting chops within another company for several years. Otherwise, working remotely for someone else will still be a lucrative, flexible venture. Once you build up a good reputation and client base, you can easily branch out onto your own. Although we mentioned that HR or recruiting experience is preferred, it’s not vital for this job. What is essential is an ability to listen to your clients and the candidates so you can quickly figure out who’s right for what company and why. If you're interested in working from home as a recruiter, check out WinterWyman, Kelly Services, and Tested Recruits. These ten roles are just the beginning. You can make money and work-from-home. All you have to do is find the right position, get to work, and thrive from the place you love most — your home. How are you making money from home? What other jobs can you do from home? Drop us a note; we'd love to hear from you! Thanks for the shout out! You’ve outlined some great options here. We’ve also noticed sales, consulting, and project management to be common work from home jobs! Yes, those are great work-from-home options too!